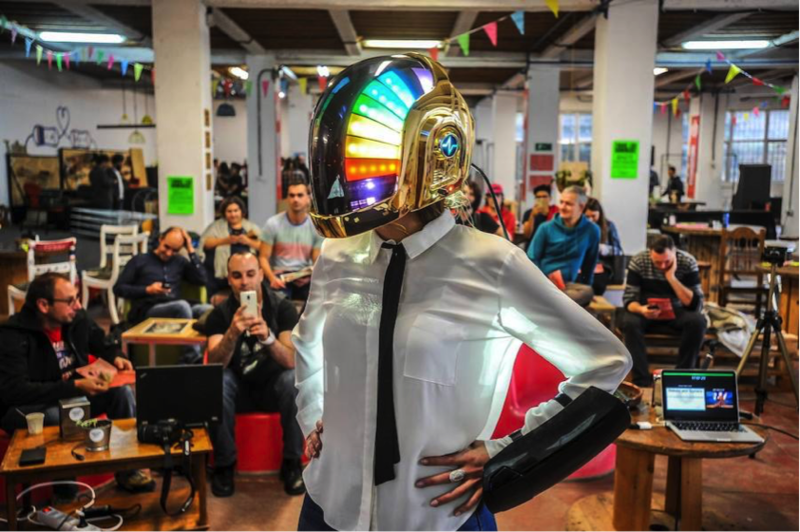 Celebrate the worlds biggest art and technology faire hosted in Bilbao by Espacio Open. Maker Faire Bilbao is with over 12000 visitors in 2017 the main event of public attendance of the island Zorrotzaurre in Bilbao to prototype emergent ways of living and better futures. The faire mainly takes place in the Open Space warehouses in the Old Biscuit Factory (Artiach Factory), together with other collaborating spaces in the city. Expect more than 4000 square meters of exposition area, workshops, Fab Lab Bilbao and its spaces in the old factory like the antique silo and the secret garden!